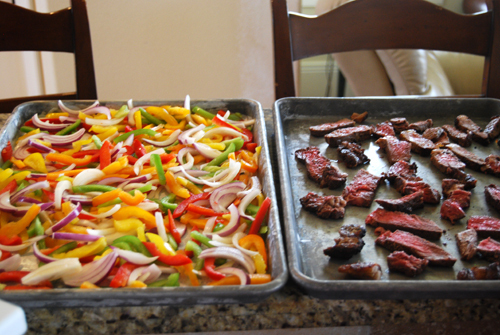 Nothing says ‘easy delicious family dinner’ quite like freezer fajitas. In 15 minutes (active time)you can have multiple dinners prepared and in the freezer for a busy weeknight meal. 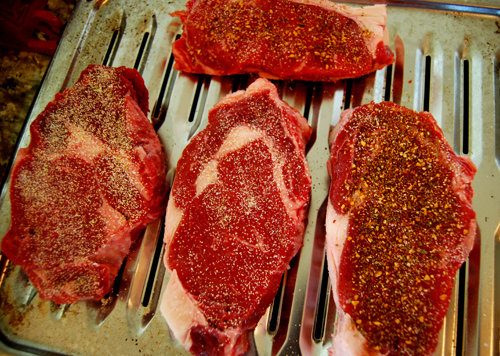 Turn up the heat – Preheat grill or broiler. Add the flavor – Season meat with your favorite Mexican inspired seasoning (plain ol’ garlic salt is a great all purpose seasoner). 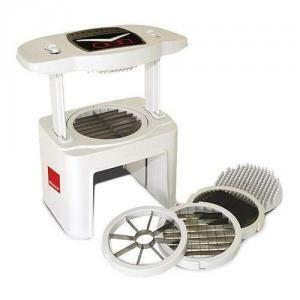 Get cookin – Cook meat on preheated grill for about 7 minutes per side or until medium rare. 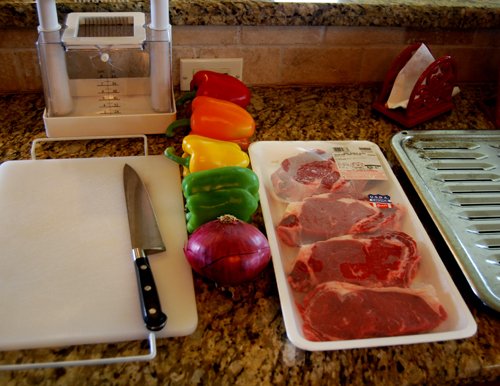 Chop Chop Chop – While meat is cooking slice onions and peppers (here is where you will save massive amounts of time with a food slicer, my favorite kitchen appliance!). 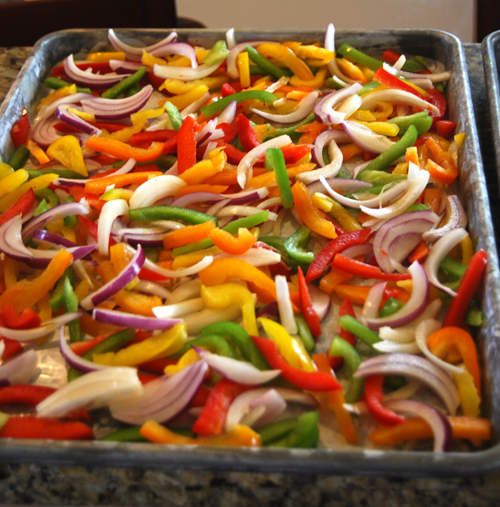 Flash Freeze – Place peppers, onions and meat on a baking sheet and freeze for 30 minutes (perfect time to clean up the little bit of mess you made and have a nice glass of cold lemonade). 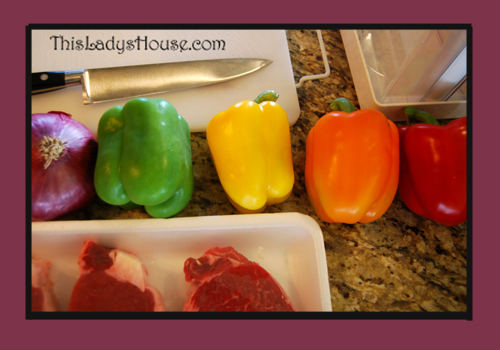 Prepare multiple meals – Place just enough steak, peppers and onions for one meal into a zip top freezer bag and label. Depending on how many ingredients you used you will be able to assemble multiple meals. Saver for later – Yay, dinner is in the freezer! 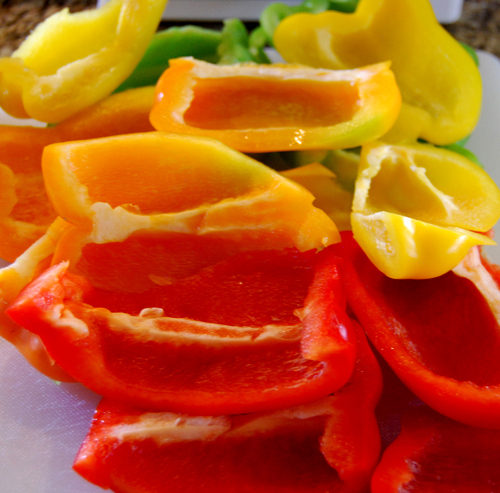 Time to eat – Serve by simply adding the contents of one bag into a hot frying pan and cook until peppers and onions are tender and meat is hot. Feel free to add additional seasoning while cooking. Serve on hot tortillas with sour cream and salsa. Click the picture to buy your own food chooper right now!